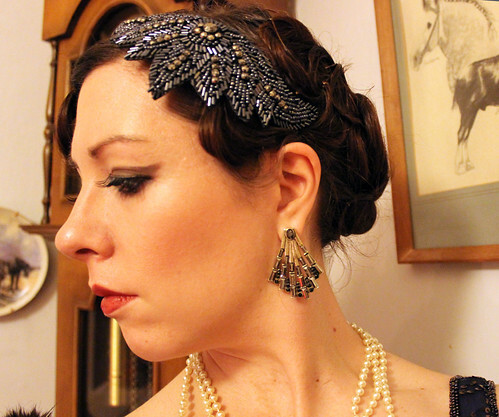 20s Murder Mystery at New Year! Happy New Year, everyone – I hope 2013 is treating you well so far! 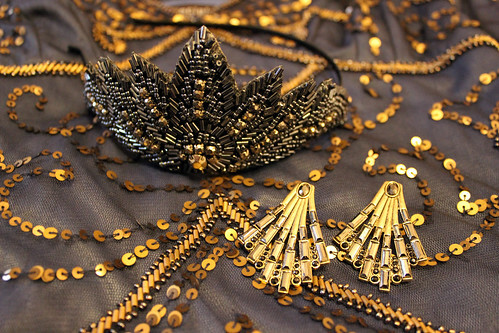 I posted a preview of my New Year costume for my parents’ murder mystery evening the other day – and here’s the full run down of my outfit and accessories. 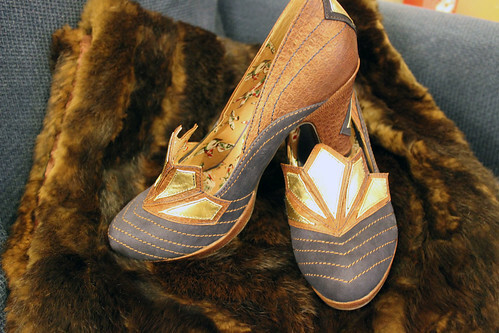 I love those details on the back… The shoes are also available in green or black at Miss L Fire’s shop. 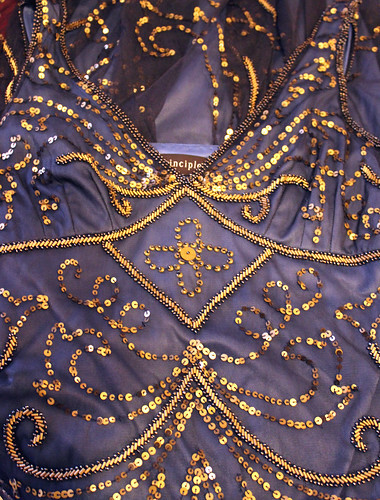 I had a beautiful sequined dress, which consisted of black netting over the top of blue fabric, which created a really nice, two-toned effect. It showed up bright blue with a flash, but in natural light was much darker. 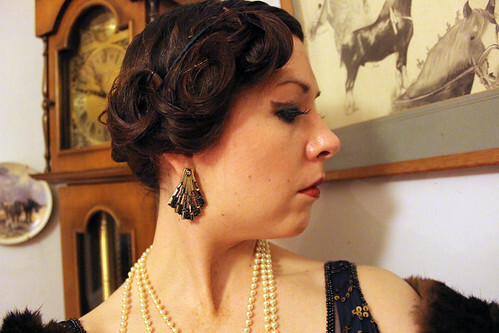 The dress is from Principles, but I got it on eBay – I’ve been stalking flapper style dresses for years so it was great to finally get one after all this time! Both of my accessories in this photo were from Primark – I love picking up accessories from here, as they’re so cheap and usually great quality, all considering. Both of these items have served me well over the years! 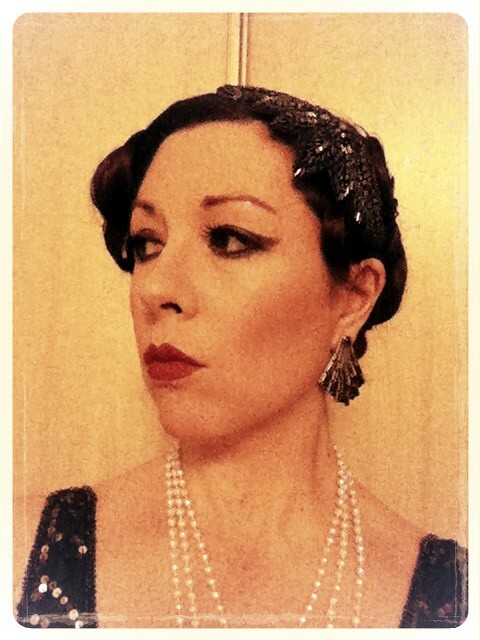 I also wore three strings of fake pearls I bought last year from Tesco… Dead upmarket, me! For my hair, I used a brilliant tutorial from YouTube, which you can find here. I couldn’t get my hair to curl properly, but it turned out it didn’t really matter in the end as I was able to pin it up in curls even though it was fairly straight! It came out pretty well, I thought. If you have long hair and you wanted a really easy and straight forward flapper hair style, check out this video about how to fake a bob. I tried it last year and it worked really well – everyone thought I had a hair cut! 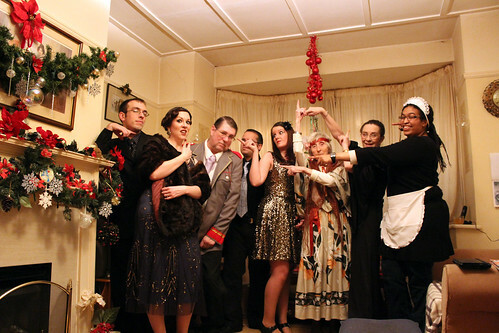 We all had a brilliant time – everyone did really well with their costumes, and my nan even managed to guess the murderer was the maid! 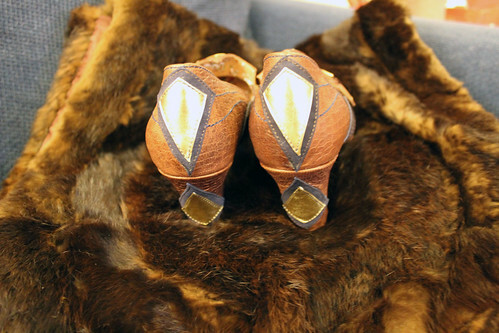 I definitely recommend murder mystery nights – they’re great fun, and really cheap, plus they give you a chance to dress up… Like I need one, right? 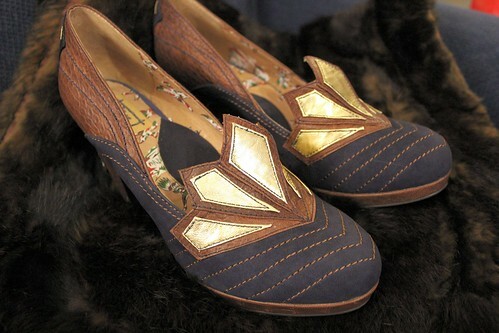 My picks from the Hush Winter Sale! 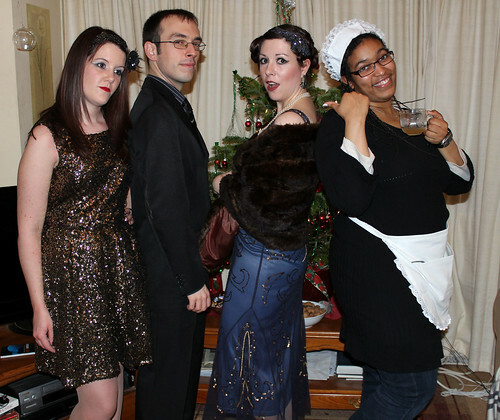 Pingback: The Power of the Murder Mystery Dinner Party « clink!